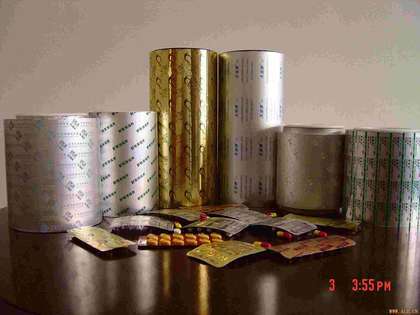 (2) good gas, water vapor barrier property.Widely used in general packaging drugs such as tablets, granules, powder, also can be used as other dosage form drug packaging. (3) good degradability, which is beneficial to environmental protection.Applicable to the effervescent agent, coating agent, capsules, etc. The packing of the drugs. (4) good degradability, which is beneficial to environmental protection.Mainly used in tablet, capsule, powder, granules and other dosage forms the packing of the drugs. (2) can be placed under normal temperature milk packaging without refrigeration. (4) can be in printing, good printing eligibility.Mainly used in blood transfusion bag, bag and so on liquid packaging.